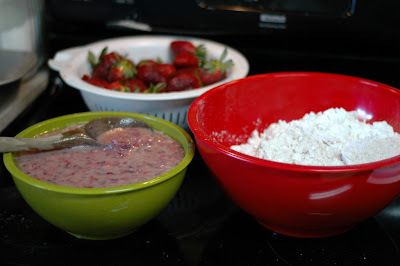 I had all these strawberries to use, so I decided to make some strawberry bread. This recipe is from the Junior League Centennial Cookbook. It's a great cookbook with some fantastic recipes including an out-of-this-world sour cream banana bread. In fact, it has an entire section of breads -- right up my alley! Yum! 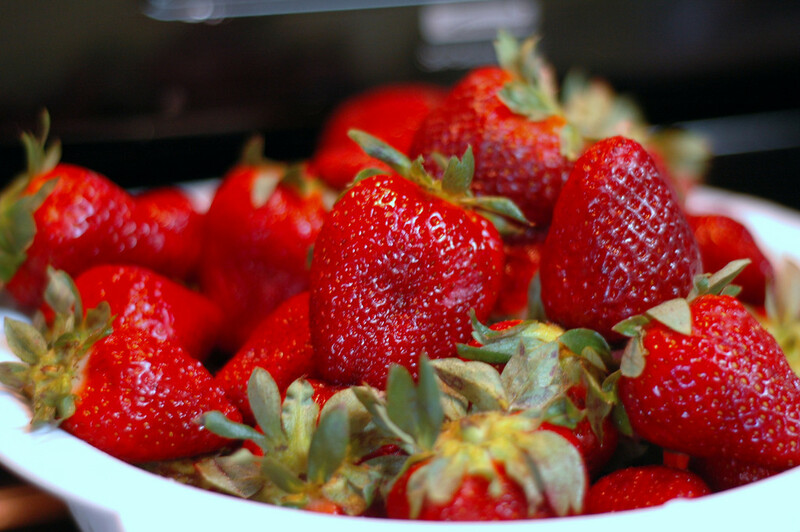 So first you have your strawberries. Cut 'em in large pieces and chop away. And chop some more. I didn't use the food processor 1)because I'm too lazy to clean it and 2)I thought it might puree them too much. 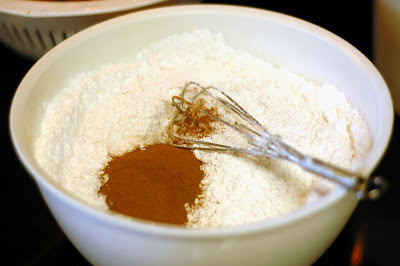 Whisk together the flour and the baking soda; add the cinnamon. 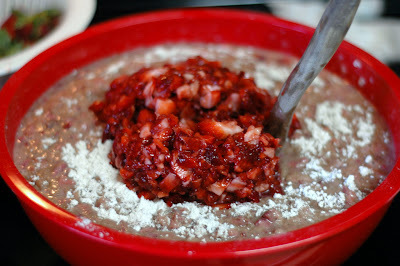 Then mix them together real well. I do have bigger bowls. Why I did not use them I will never know. Beat the eggs. 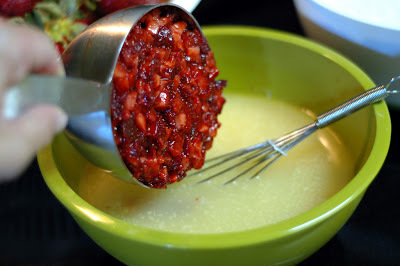 Mix in the vanilla, oil and lemon rind -- I don't ever use the lemon rind, because I don't ever have any lemons. 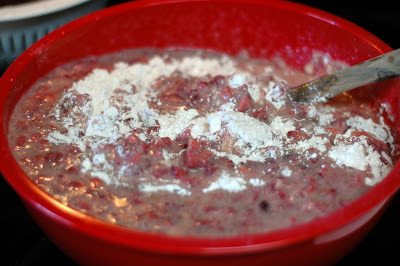 Then add your strawberries to the egg mixture. When you double the recipe, it helps to use bigger bowls. Stir gently to coat the strawberries. If you really like to wash dishes, start with small bowls and then change to bigger ones. 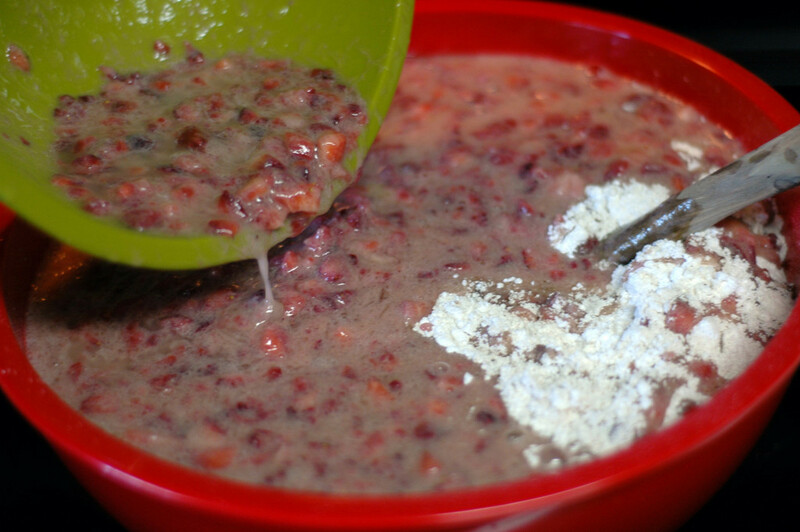 Add the strawberry mixture to the dry ingredients. 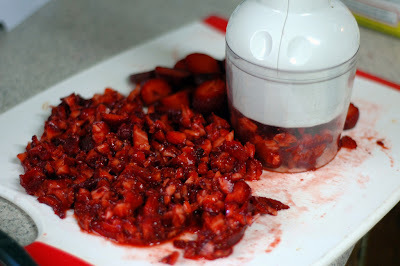 When you realize that you are doubling the recipe and didn't put the correct amount of strawberries (since 3+3=6 cups and not 4), just chop some more and add them whenever. 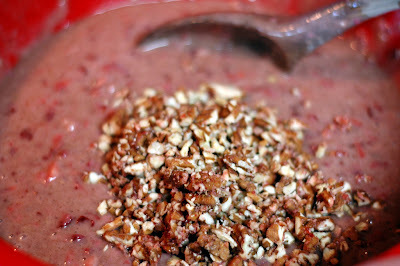 If your husband likes pecans but not in his food, split the batter and add pecans to half. Then everyone's happy! 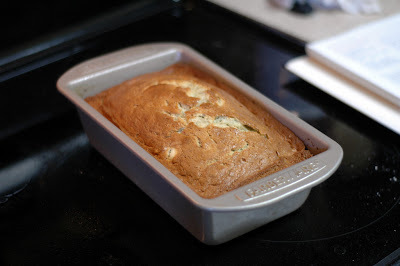 Pour the batter into your greased loaf pans -- if you don't have enough pans, just run out to your husband's mom's house and swipe them out of the cabinet. 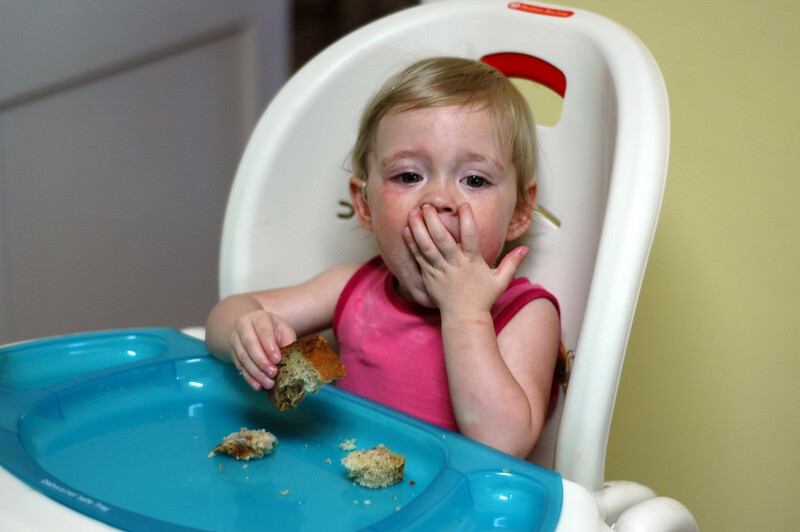 When naptime's over, banana bread is a great snack! 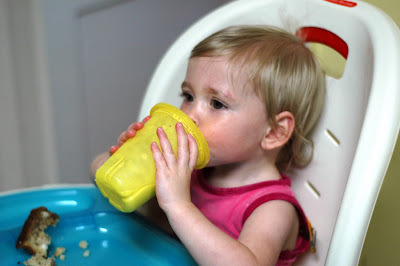 With milk -- in a cup! 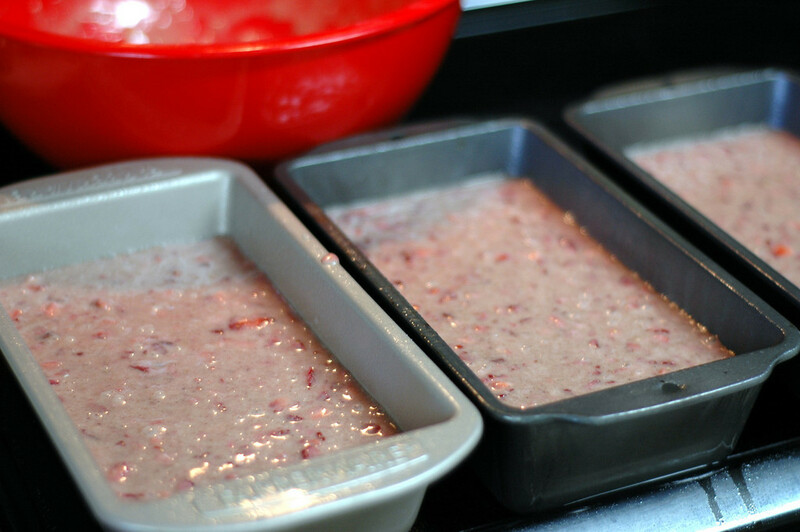 Back to strawberry bread...let it cool on a rack. Slice when ready to serve. I'm not sure if strawberry beats banana in my book, but the strawberry bread is pretty yummy for breakfast with whipped cream on top! In a large bowl, combine flour with baking soda. 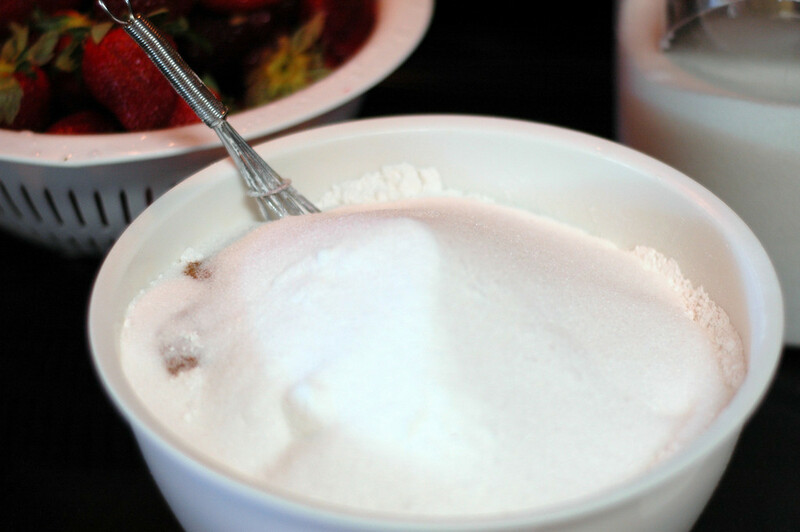 Add cinnamon and sugar. Mix well. In a separate bowl, combine eggs, vanilla, oil, lemon rind. 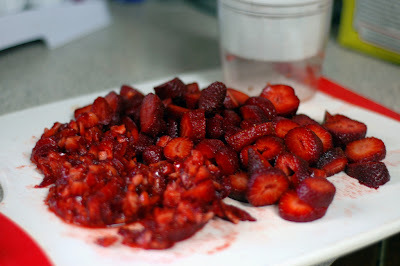 Spoon the strawberries into the liquid ingredients and stir gently to coat them. 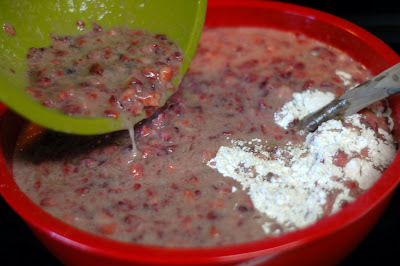 Add this mixture in batches to the dry ingredients, incorporating by hand. Fold in the nuts. 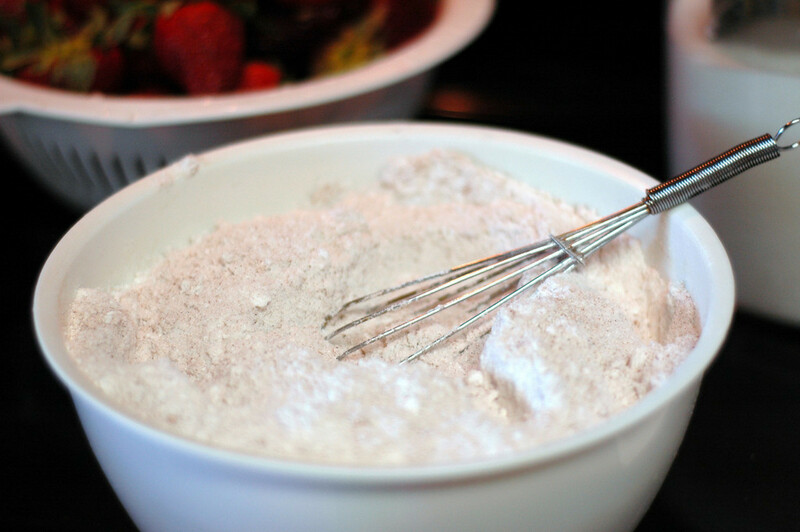 Pour the batter into two greased/floured 9-inch loaf pans and bake 1 hour at 350 or until wooden pick comes out clean. Allow to cool in pan for 5 minutes, then turn out onto rack. Do not slice until ready to serve. 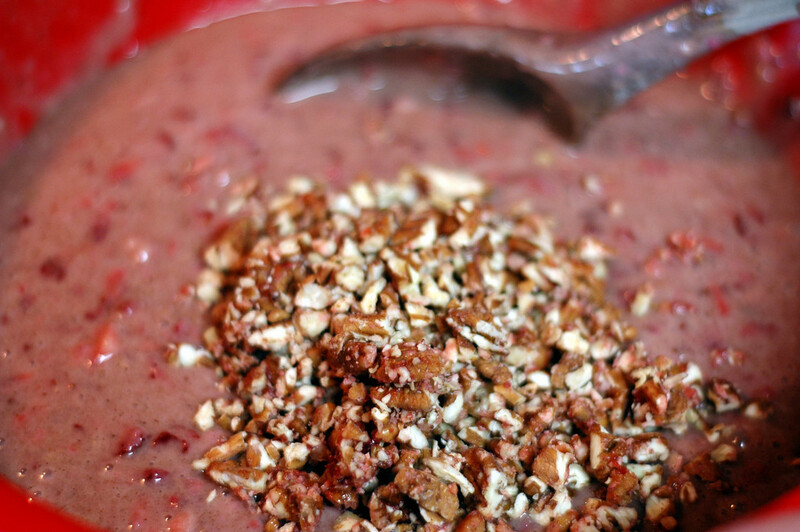 Serve with fresh fruit, flavored butter, or a dollop of whipped cream.